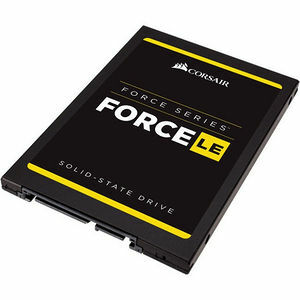 Force LE solid-state drives incorporate the latest TLC NAND technology to provide affordable, large capacity performance that's faster than hard drives. If you've been waiting to replace your mechanical hard drive with high-speed SSD, now it's easier than ever to upgrade. You'll enjoy faster startups and shutdowns and quicker application load times, and they're available in a range of high capacity options for all your storage needs. The Force Series LE line provides lots of storage to satisfy your everyday needs - work, play, create, and keep all your videos, music, documents and more.